When you are remodeling an area, there are many ways to customize the space to make it your own. One of the most common ways to do so is with paint color, but why stop there? Take your renovation another step further with custom ceramic tile patterns from Limelight Tile & Ceramics. From a bright and colorful ceramic kitchen backsplash to a bathroom porcelain tile backsplash, you can rely on our team to design and create quality tiles for your project. When you visit our showroom, you can choose from one of our stunning tile designs or you can have our artistic team create a tile design specifically for your project. 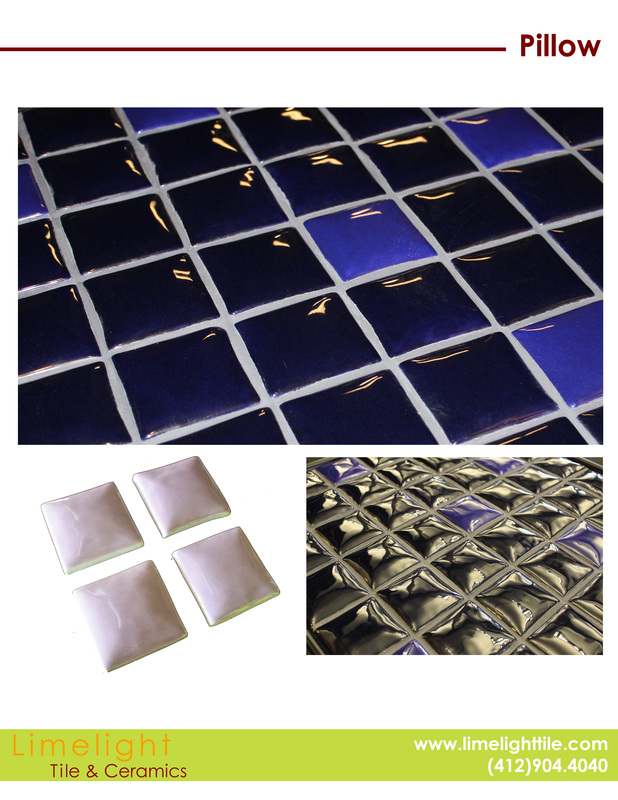 The Pillow is ideal for backsplashes because it is a raised tile that will give any space an added touch. If you are interested in learning about the colors and glazes the Pillow is available in, you can give us a call at (412) 904-4040 right now.